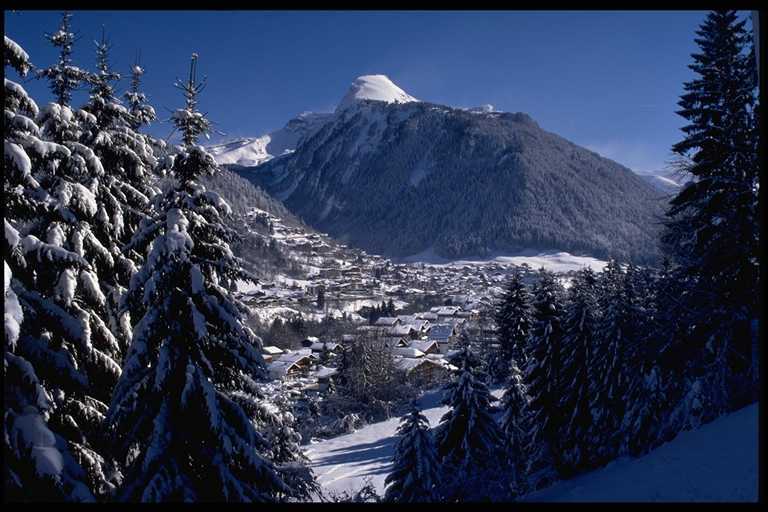 Summit Lodge is located in an exclusive development situated on the sunny side of Morzine with magnificent views overlooking the town, across to the Pleney ski slopes and the surrounding mountain peaks. This modern, contemporary chalet provides high-spec luxury accommodation for up to 8 people in 4 large bedrooms, all with ensuite bathrooms. There are 2 double rooms and 2 twin rooms. From the entrance hall, stairs take you directly to the first floor where three of the bedrooms are located. Two of these have direct access to a big south-westerly balcony, providing a perfect spot to relax and take in the mountain views. The upper floor consists of an open plan dining room, kitchen and living area, as well as the fourth ensuite bedroom. A second large balcony runs the length of the living area and kitchen, with an extra table and chairs from which to enjoy al fresco meals on warmer days. Large sofas and a cosy fire will tempt sofa loungers to put their feet up and admire the spectacular 180 degree view of Roc D’Enfer and the other peaks. This chalet has a Sunday changeover, except for summer dates, when we can be more flexible.